Tari K. Robinson is CEO and President of T&T Management and Production. Her script writing and production experience dates back to the early 1990’s. While living in Hollywood, she worked alongside established scriptwriters for such shows as The Fresh Prince of Bel Air and Fox’s True Colors. She has produced and directed many productions over the decades, including a teen soap opera, a children’s variety show, a reality show and documentaries. Love comes with a price in Tari Robinson’s spellbinding thriller, Turn About is Fair Play. Unattractive Tracy Raymond’s groupie obsession with rock singer Jake Benjamin consumes her life. Friends Janie and AJ take her to a fortune teller who sells her a love potion. Tracy gets the opportunity to drug Jake and the potion takes effect. He falls in love with her but the happiness Tracy expected backfires. Jake experiences mood swings, is abusive and distrustful. She knows Jake is only with her because she drugged him, but refuses to leave. Jake changes whenever the drug wears off, so Tracy constantly purchases more, depleting her finances. She’ll do anything to keep Jake so she ignores the fortune teller’s instructions. Groupies have been known to stalk celebrities; some do weird things to attract their attention, but have they have been as obsessive or conniving like Tracy? 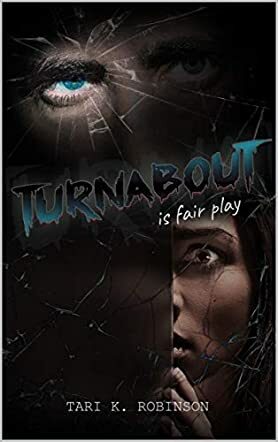 Turn About is Fair Play and so it was in this intense, suspenseful drama that will have you hooked but incensed at Tracy’s actions. Based on Tari Robinson’s expressive writing, one could easily be swayed to sympathize with Tracy when Jake became abusive. But Turn About is Fair Play, isn’t it? I admired how the author kept taking the drama to the next level each time with moving conflicts from interesting characters. The conclusion left me numb, but it was an acceptable one, given the circumstances. I can see a movie being made from this thriller and am impressed with the author who showed her creativity.